Maybe hold off on your daily avocado toast. A California avocado grower is recalling whole avocados sold in six states due to concerns of possible listeria contamination. The recall comes after several environmental samples tested positive for the bacteria, which can make you sick. Henry Avocado has issued a voluntary recall on whole avocados, the company announced via the US Food and Drug Administration (FDA) on Saturday. The recall affects avocados that were shipped to Arizona, California, Florida, New Hampshire, North Carolina, and Wisconsin. Those of you enjoying avocados outside of those areas can safely continue to do so -- no need to panic or pause your usual guac intake. 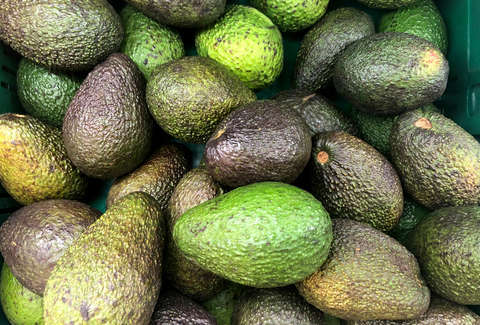 Henry Avocado said in a statement that the recall was issued “out of an abundance of caution” after tests on environmental samples taken during an inspection came back positive for listeria. The recall affects all shipments from the packing facility, including conventional and organic avocados. “Henry Avocado is issuing this voluntary recall out of an abundance of caution due to positive test results on environmental samples taken during a routine government inspection at its California packing facility,” the company announced. Organic avocados impacted by the recall say “California” on the label, per the company, while conventional avocados affected have stickers that read “Bravocado.” According to Henry Avocado Corporation, no one has gotten sick because of the potentially contaminated avocados thus far. Better safe than sorry, though. Listeria is a food-borne illness that can cause serious, and even fatal, infections in kids, elderly people, and people with weakened immune systems, according to the CDC. Pregnant women are also extremely susceptible to listeria. In the ‘90s, deli meats and hot dogs were most often linked to listeria outbreaks. Nowadays, it’s dairy products and produce that typically lead to outbreaks. Proper food storage and cleaning can prevent listeria, the CDC said. Some foods should be avoided altogether, depending how high your risk for contracting the illness is. Basically, eat at your own risk. Symptoms of listeria include high fever, headache, stiffness, nausea, abdominal pain, and diarrhea. Anyone experiencing these symptoms should seek medical treatment, of course. Before you cut into that perfectly ripe avocado you’ve been waiting on, be sure to check the sticker. It it’s not recalled, prepare to chow down, but maybe give it a good rinse first. Can’t hurt.